"DIGITAL BUSINESS PLATFORM: Foundation For The Digital Transformation"
Digitalization is the road of moving towards digital business and digital transformation, as well as the creation of new digital revenue streams and offerings while doing so. Through digitalization, a company’s digitized resources are transformed into new sources of revenue and operational gains. Businesses need to develop entirely new processes based on modern software architectures in order to compete in the digital world. 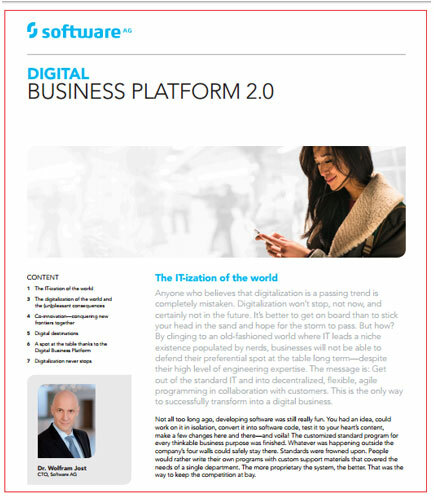 This whitepaper provides insights on how to successfully transform into a digital business. What is Digital Asset ? A working definition of Digital Assets: Digital asset is digitally saved content material or a web account owned by an individual. Digital asset includes person files which include images, photographs, movies, and text files. The digital system used for storage for digitized assets is digital storage. Online account owned by an individual is also a part of digital assets.